A few years ago, the thought of removing the headphone jack in a flagship phone sounded crazy. Despite this, Apple and several other smartphone vendors have ditched the headphone jack in favor of Bluetooth, and can expect more vendors to follow. If you have a phone without a headphone jack, or if you’re just looking for a great pair of Bluetooth earbuds, these $39.99 Cresuer Touchwave True Wireless Bluetooth Earbuds might be for you. 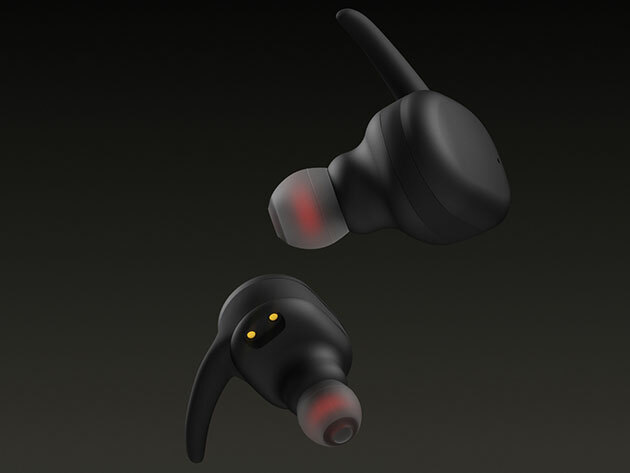 The Cresuer Touchwaves are a simple pair of high-quality bluetooth earbuds which use carbon nanotube diaphragms to deliver great performance. These lightweight earbuds come with three different-sized silicone ear tips which offer waterproofing and sound isolation. The Touchwaves deliver 3 hours of playtime off a single charge, but you can enjoy up to 4 additional charges thanks to the wireless charging case. The lightweight design, sweat proof ear tips, and long battery life make the Cresuer Touchwaves ideal for any activity. If you’re looking for an excellent pair of no-nonsense Bluetooth earbuds, you can find the Cresuer Touchwaves in the Macworld Shop for $39.99, or 60% off.